Lyft said on Monday that roughly 180 employees at Uber had ordered and then cancelled thousands of Lyft rides since October, slowing its service and causing lost fares. "It's unfortunate for affected community members that they have used these tactics," a Lyft spokeswoman said at the time. Uber called the claims "patently false" and then on Tuesday accused Lyft of doing exactly the same thing. Lyft's drivers and employees, including one of its founders, have ordered and then cancelled nearly 13,000 trips on Uber, a spokeswoman said. Uber didn't name the founder or say how it knew Lyft was responsible for the spurious orders. But it suggested the cancellations were triggered by disappointment among Lyft's investors that Uber hasn't acquired the rival service. "A number of Lyft investors have recently been pushing Uber to acquire Lyft," the Uber spokeswoman claimed. "One of their largest shareholders recently warned that Lyft would 'go nuclear' if we do not acquire them. We can only assume that the recent Lyft attacks are part of that strategy." Lyft denied those claims and said Uber was being deceitful. "Lyft is approaching IPO-level revenue," a representative said. The accusations come as Uber and Lyft offer new services that increasingly mimic each other's. Both let people request rides from their smartphones with a credit card on file. And last week, both announced new carpooling services that let riders share with each other and split the cost. Uber operates in more than 40 countries and many U.S. cities. Lyft's presence is limited to the U.S., but its popularity is growing as it enters more cities. 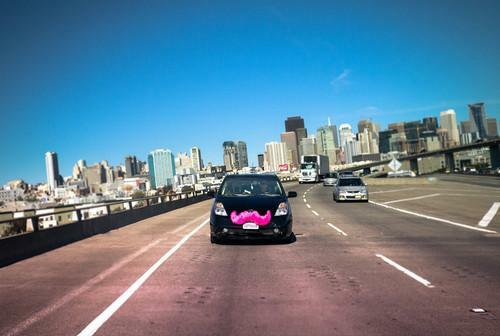 After some initial regulatory challenges, Lyft launched in New York City late last month. But this week's accusations show that Uber and Lyft's most persistent enemies might be each other.